Family STEM Night Sneak Peak #3: Activities! 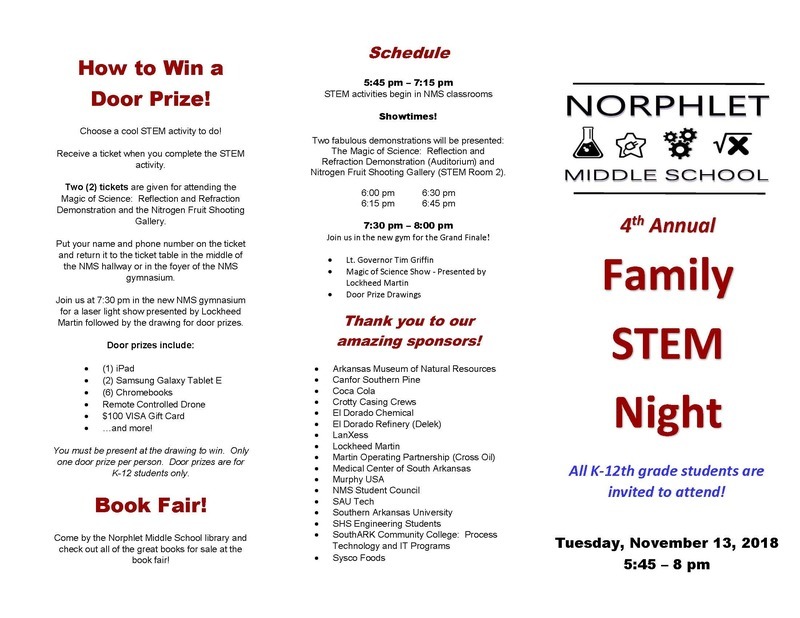 The 4th Annual Family STEM Night will be Tuesday, November 13, 2018 from 5:45 - 8 pmat Norphlet Middle School. K-12 students, parents, and community members are invited to attend! 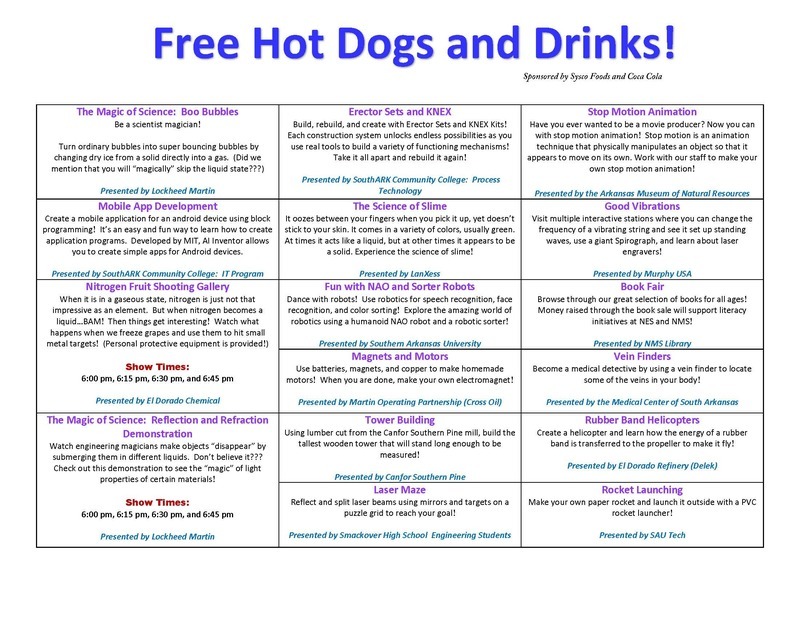 Click on the pictures below to see the brochure with activity descriptions! Paper copies of these brochures were sent home with all K-12 students today. Please note that this is the most updated version of the brochure.